I won’t be taken in by a sweet pair of t**s and long legs. I need her to ignite. Just for me. What do I do when I discover the truth? She’s everything I suspected her of and worse. 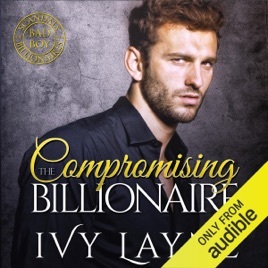 Compromising the Billionaire is a stand-alone romance with a happy ending. It’s part of the Scandals of the Bad Boy Billionaires series and reveals more about the notorious Winters family. You can listen to it on its own, everything you need to know is explained, but once you get a taste you'll want to listen to the others.